An international team of scientists analyzed data from men around the world and found sperm counts declining in Western countries. A wide-ranging study shows that sperm counts are plummeting throughout the Western world, and scientists don't know why. NPR health correspondent Rob Stein suggests some of the potential reasons. ROB STEIN, BYLINE: In Margaret Atwood's 1985 novel, "The Handmaid's Tale," the United States has become a dystopian nightmare where the few remaining fertile women are enslaved to make babies. Here's a scene from Hulu's new TV series based on the book. ANN DOWD: (As Aunt Lydia) You girls will serve the leaders and their barren wives. You will bear children for them. STEIN: Could that really happen? Well, a big, new study takes that idea and flips it on its head. It's men who might be hurtling towards sterility. SHANNA SWAN: We should take this very seriously. STEIN: Shanna Swan is a reproductive epidemiologist at the Icahn School of Medicine at Mount Sinai in New York. SWAN: I think it's a wake-up call. STEIN: Swan was part of an international team of scientists. They analyzed 185 studies involving nearly 43,000 men from North America, Europe, Australia and New Zealand. And what they found was dramatic. SWAN: There was a 52 percent decline in sperm concentration and an almost 60 percent decline in the total sperm count in the 39 years we studied. STEIN: Sperm counts dropped by more than half. SWAN: I think these are extremely concerning findings. STEIN: Now the world is nowhere near an epidemic of infertility, so there's no reason to panic. 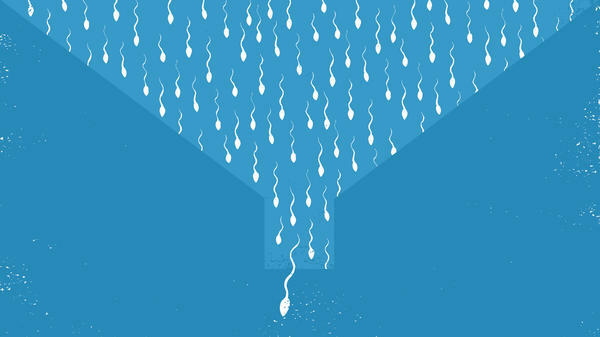 But there's no sign the nosedive in sperm counts is slowing down. The big question is - why? Well, no one knows. But there are lots of theories. Maybe male babies are being exposed to something in the womb. SWAN: There's also increasing obesity, which is related to sperm count. There's also stress, which is related to sperm count. So there are a number of factors which you could cluster under the heading of modern lifestyle that could be playing a role in what we're seeing. STEIN: Whatever the possible cause, other experts agree the findings are alarming. Peter Schlegel is vice president of the American Society for Reproductive Medicine. PETER SCHLEGEL: Since this is the best study that's ever been done, it is concerning that it suggests such a progressive and dramatic decrease in sperm counts over time. And since we don't know what could be causing it, it's worrisome. 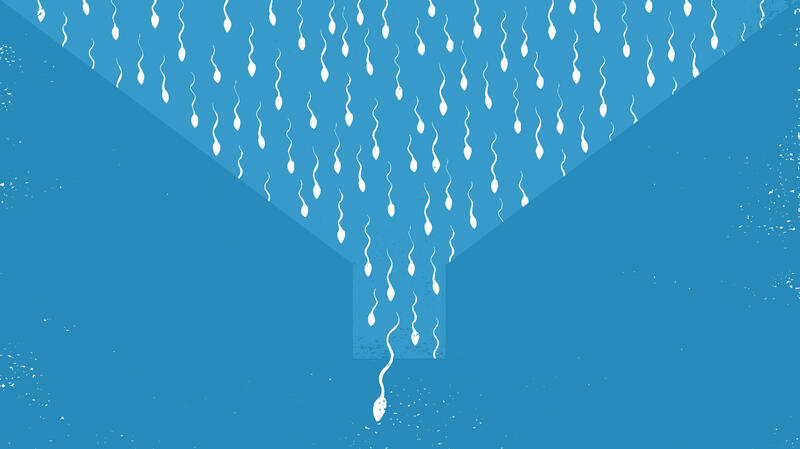 STEIN: But Schlegel stresses that more research is needed to confirm that this drop in sperm counts is real and whether it's happening in other parts of the world, as well. Rob Stein, NPR News. Transcript provided by NPR, Copyright NPR.